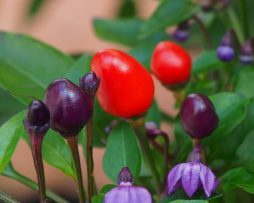 This little stunner is an edible and ornamental pepper with unique purple foliage and purple flowers. Its colourful fruits are prolific as well as persistent. 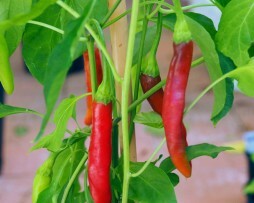 They are the perfect chilli plant to add extra eye-appeal to just about any garden setting. And yes you can eat them too! They are a nice compact size growing to just 25 to 35cm (10 to 14in) tall and 20 to 25cm (8 to 10in) wide, its compact size makes it very suitable for growing in containers. The Farmers Market Jalapeno is hands down the most unusual of the Jalapeno types. It is completely covered in “corking” which is why it is also known as the Potato Skin Jalapeno. It is wonderfully sweet and mild with that great Jalapeno warmth, and tastes just like a Jalapeno. It also grows quite large! The skin does not detract from the taste or texture at all; in fact, it adds an ever so slight earthy mushroom taste. These are still quite rare but there is no doubt that these will burst onto the chilli market soon enough and take the chilli world by storm! THEY ARE THAT GOOD! 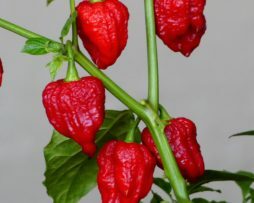 Developed and bred from the Moruga Scorpion this killer is like no other. Some say it actually turns your tongue completely numb after eating. 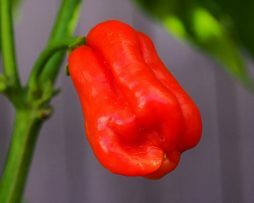 It’s hard to describe the flavour but it is like a Moruga except… well you’ll just have to taste it for yourself – quite indescribable but a great one to turn into fiery powder. 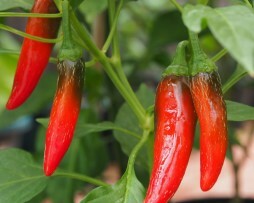 Fidalgo Roxa is one very amazing chilli! It is a plant of amazing beauty when loaded with its beautiful purple, pink and apricot coloured pods. 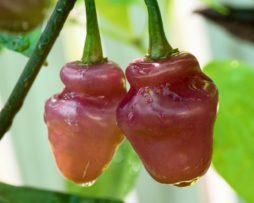 Being one of the Brazilian chinense types it is bound to have an amazing flavour and it certainly doesn’t disappoint! 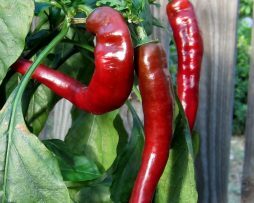 Sweet and crunchy with a touch of citrus the Fidalgo Roxa is a is very special chilli and deserves a prized place in your chilli patch! What a tasty treat this sweet mildly hot chilli is. 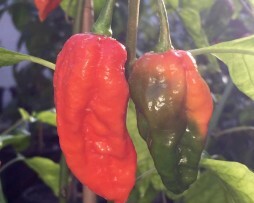 It is a rare Egyptian variety of chilli pepper from the southern farming city of Aswan. 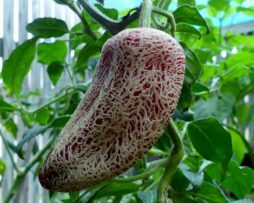 It has a nice thick flesh and is great for everyday use as it is not too hot. It has just enough heat to spice up your favourite meal. It’s low tingling and pleasant heat does not linger long. A great all rounder that is easy to grow and relatively prolific to boot. Frying peppers are great! Lots of places in the world are very familiar with these. Some, however are not so much. 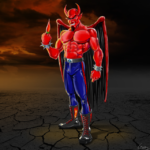 It’s our desire to make the world aware of these great chillies. 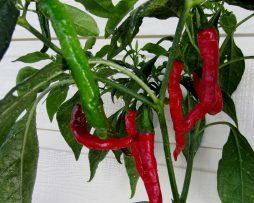 While they are not your traditional hot chilli,( they have hardly any heat) they are very versatile and very tasty! 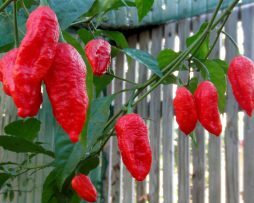 They can be fried in some olive oil and salt and eaten as snacks, or put into a stir fry as a vegetable…and before you ask, they taste nothing like a capsicum. We can guarantee you will fall in love with the unique flavour. We did! So you can try them all, we have put the best three frying peppers in the world (google it, it’s true!) into a terrifically tasty trio! 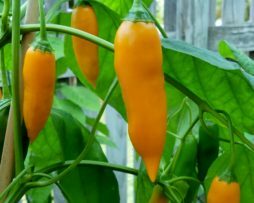 Peruvian Giallo Arancio is a thick fleshed chilli from Peru. It is thick and juicy and quite a heavy producer. The flavour is good with what some people have described as it having a very slight coffee hint when dried. Coffee or not, this chilli is very good fresh and would be excellent smoked! Time to experiment in the kitchen!